The fall TV season is starting, which can only mean one thing: Utter confusion. Not only are networks constantly switching around the on-air schedule of existing shows, but Fox (s NWS) decided to make things even more complicated by delaying the availability of its shows online until eight days after they air on TV — except for Dish (s DISH) or Hulu Plus subscribers, who can watch Glee & Co. the day after, unless there is a full moon on the third Sunday of the month. Fav.tv is the newest entrant to the online TV guide game, and it’s impressed us with a very clean UI as well as useful apps for iPhone (s AAPL)and Android. (s GOOG) The site keeps track of all the shows airing on TV and lets you subscribe to shows, sending you alerts via email, SMS and iCal whenever new episodes are about to air. Fav.tv doesn’t link to any online content, so it’s better suited for folks that watch TV in real time or who want to keep on top of their DVR schedules. TV Guide may not exactly sound hip and new, but the magazine’s website has a very helpful fall schedule grid online. Want to figure out what day The Office is going to air and which kind of shows ABC (s DIS) has lined up for Sunday night? Then you’re going to appreciate this feature. 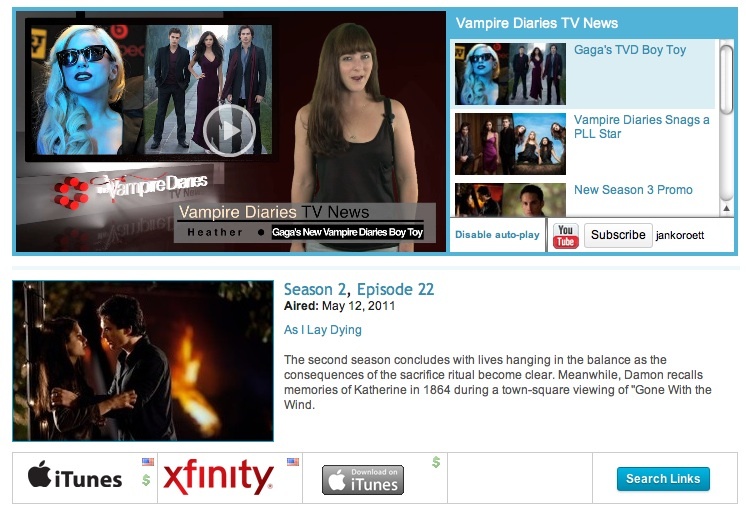 Users can also create a so-called Watchlist to keep track of TV show episodes on TV and online. 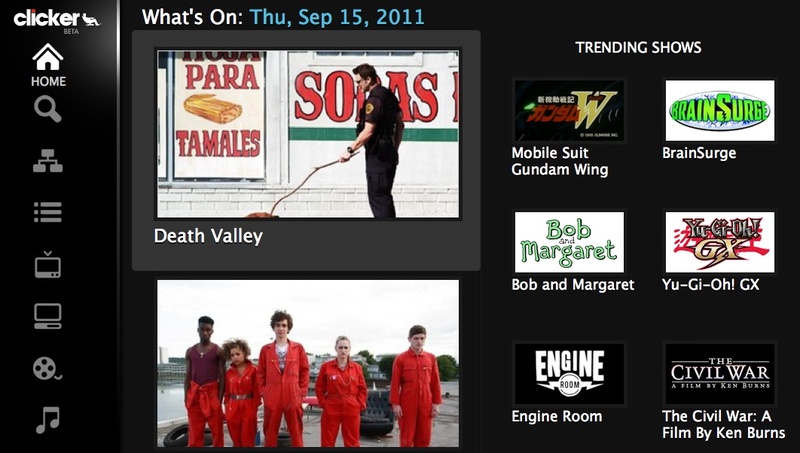 Yidio not only features its own TV guide, but it also links online sources for TV show episodes as soon as they become available. 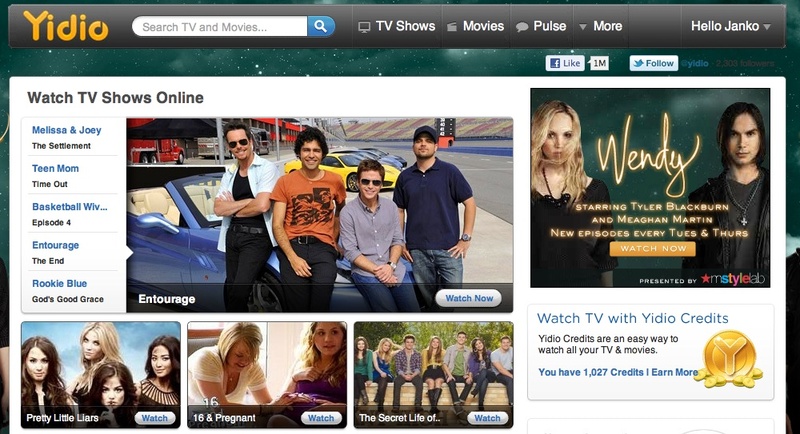 Some of those episodes may be hosted on free sites, and some may be rentals on Amazon.com (s AMZN) — but Yidio offers its users a chance to earn Amazon credits through various tasks, like commenting and referring friends. The system is a bit complicated, but it may be a good choice if you’re trying to watch ad-free TV show episodes without breaking the bank. Yidio also offers Twitter, Facebook and e-mail alerts to let you know when the newest episode of your favorite show is available online. 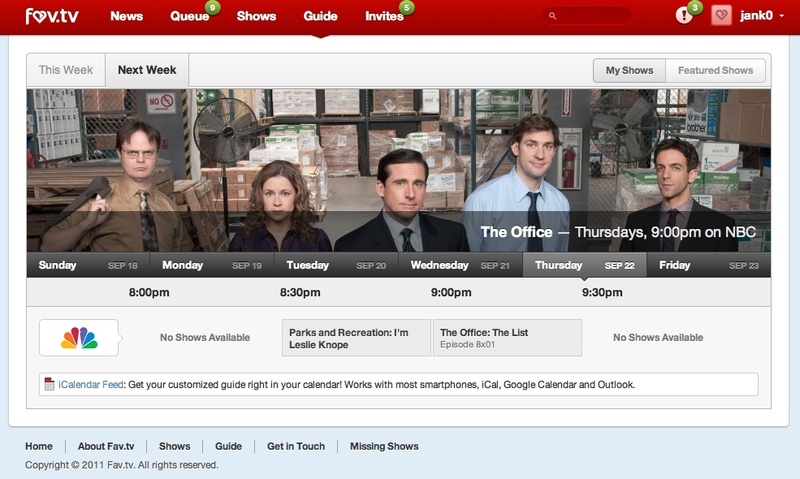 Sidereel also offers a grid-type TV guide and links to streaming episodes around the net. Much like on Yidio, users can also track their favorite shows and get email reminders for new episodes. What sets Sidereel apart is that the site also produces a bunch of original content, including a show called This week in TV that sums up, as you guessed, what’s on TV this week. Clicker is another good source is you are looking for specific episodes of your favorite shows online. The site doesn’t have a TV schedule grid. Instead, it surfaces shows by popularity, which guarantees that you’ll generally find what everyone’s been talking about. As a bonus, Clicker also offers apps for iOS and Android as well as a Chrome app that comes in handy if you’re one of those people who has their laptop connected to their TV. Check out spreety.com for links to available shows. I’ve had a fav.tv invite for a while now, but while the site looks pretty nice it gets cluttered fast and a lot of basic functionality is missing. Things like having to manually mark every episode of a serie as watched when you start following it, which requires 3 pages or so per episode. Of course it’s still a bÃ©tÃ , and they said they’ll be updating this along the way. Personally I love http://www.followmy.tv, it’s a good looking site with the functionality you would expect in an easy package. Don’t forget on-my.tv. You can get the schedule of practically every show, and you can even generate an ICS file to import to iCal or Google Calendar.